These pages have moved to http://www.nwsprints.co.uk where there are no annoying adverts, pop-ups or spyware and it responds quicker too! 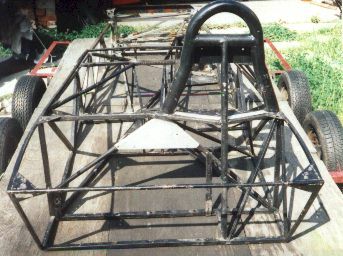 This page shows the damage I did to my Mallock in the first sprint at Curborough in 2000. Since Mallocks are brazed rather than welded, it wasn't that difficult to repair. 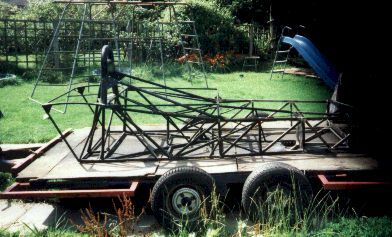 I took the chassis back to Mallock's to have a complete new front end made up and attached to the back which was alright. 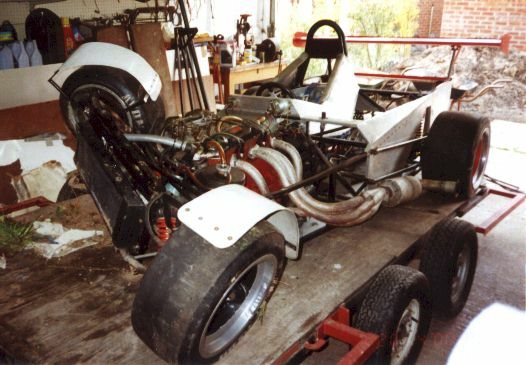 I finally (April 27th 2002 4:30 a.m.) put it back together "ready" for Aintree on the same day where I promptly left the the nosecone scattered all over the second bend - Doh! The main reason for this was I didn't have time to check any suspension settings - subsequent investigation revealed different camber, castor and even wheelbase on both sides. This has since been rectified (see settings) and it now handles properly again. Mind you, it is a lot more oversteery than it used to be - either the front end is the best it's ever been or, more likely, the rear tyres have died of old age. Having got the suspension right, I promptly ran the bearings! So I have tried to make one decent engine from the two heaps of bits in the big puddle of oil on the garage floor. Now I'm out with a 1350 which is as quick as the 1600 at Scammonden but almost 7 seconds slower at Ty Croes - funny old world. 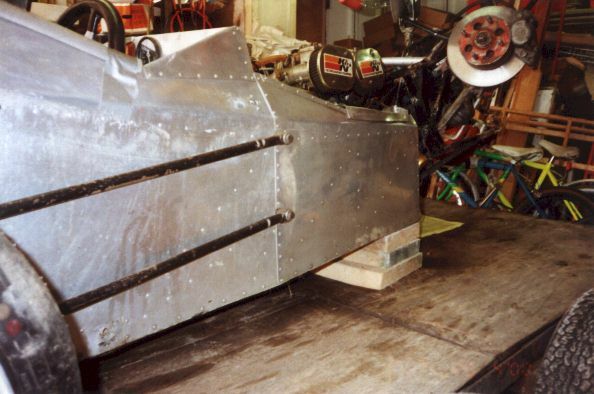 At the end of 2002 I re-modelled the back end at Aintree - the damage stopped just aft of the roll-hoop this time. That just leaves the centre section where I sit as original! The third rebuild is still in progress - should be back out in 2004-5. Yes, the rear half is square and lined up with the trailer. 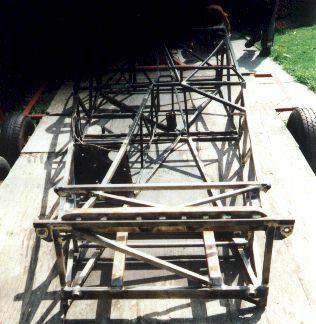 View from the top front showing how the front "subframe" has collapsed back towards the engine. View from the o/s front. 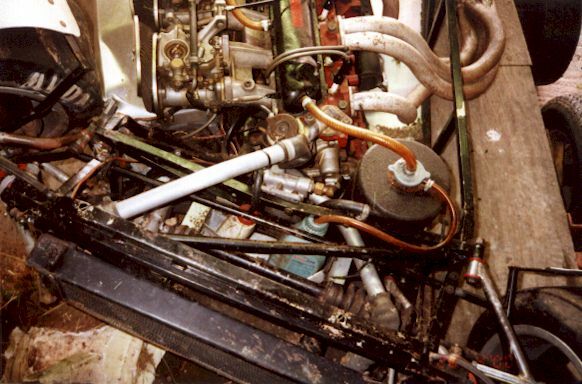 The master cylinders at the front of the footbox are where the damage stops. 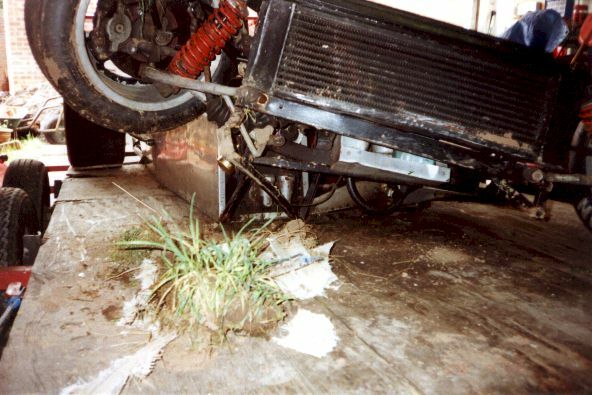 View down the offside - that front wheel certainly came back a fair way and flattened the air filters.